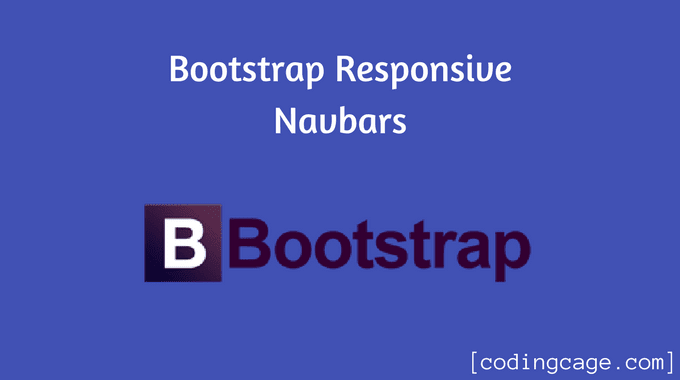 Of course you will need bootstrap CSS/JS files and one jQuery library file which will make things easier. check out the below file structure. Now Let's have a look at creating navigation bars. The following example will show you how to create a simple static navbar with navigation links. This is how you can create a simple static navigation menu bar. just add this code after starting <body> tag. you will get static menu bar. Lets go ahead. Okay, we have done with static navbar, now i'll show how to create fixed navbar menu, that will stick to the top even after page scroll down/up. Looks like static menu right ? yes this is the same code which we saw in static menu, but there's a little change over there at the first line, this one navbar-fixed-top. Following is the sample code which will show you how to add another menu as a dropdown menu, let's have a look. Here you doesn't need to do something additional here just ad a new entire <li> element wherever you want dropdown menu and give it class="dropdown" there you will have to give some extra piece of tags in <a> element as shown above. In this example i have taken fixed navbar so it becomes fixed navbar with search box, just have to add <form> element here with input box. see the example. all the menu links are in the left side and the search form is in right side so that it looks well. by using this class class="navbar-form navbar-right" you can put any link on right side. That's it for the day, next time i'll come with more bootstrap and other tutorials, also you will get AngularJS tutorials very soon on this blog. i am planning to cover as much as tutorials i can. BTW Thanks for the support guys, hope you like it. it's owesome when i work on responsive web pages..
nice 1.. i like it.